Manggahan is a Cebuano term for “where trees are planted”. Coined after the big mango tree at the back of the restaurant, Manggahan features Filipino native and exotic cuisines while maintaining a laid-back homey ambiance suitable for dining with friends and family. Founded by businessman Jim Uy, he conceptualised a restaurant that will become as a place to chill, at the same time serve good food that is a great match for beer without having to worry about spending too much. 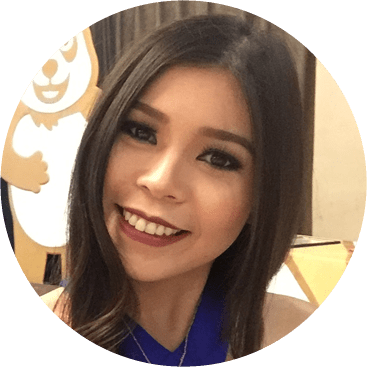 He added that Lahug is an ideal place to start with such kind of concept since the community is active and is accessible to business process outsourcing companies in the locality. He also recently just expanded in Mactan. Manggahan’s specialises in fried Filipino-style recipe such as Chicharon Bulaklak and Crispy Pata. Their signature food items include sizzling Crocodile Sisig. 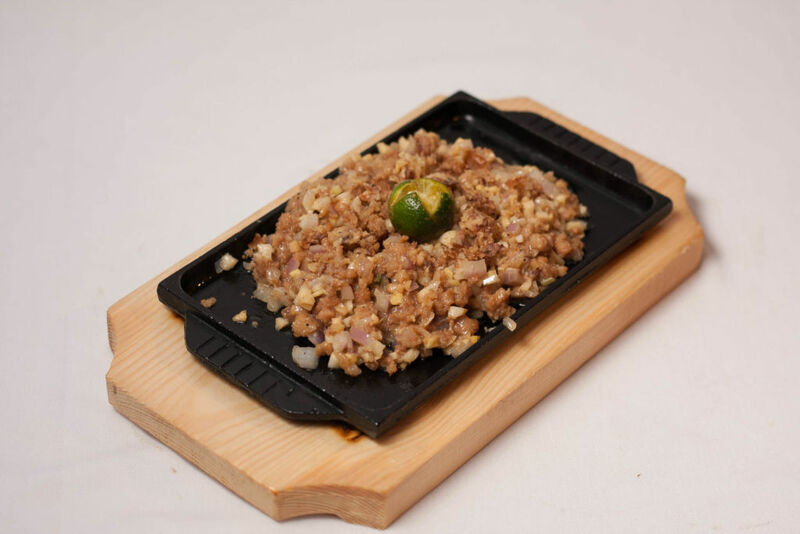 Sisig, which literally means “to snack on something sour”, is a traditional Capampangan dish usually made with pork marinated in vinegar or lemon juice. By using crocodile meat, Manggahan gives the traditional dish a twist. Seasoned with salt, chilly peppers, and other flavors, Manggahan’s Crocodile Sisig is certainly flavourful and mouth-watering. Whether paired with plain rice or a bottle of ice cold beer, the exotic dish will definitely keep you wanting more. 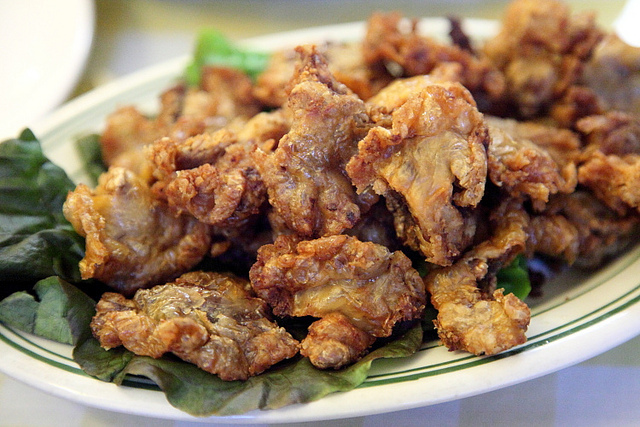 Chicharon Bulaklak or deep-fried ruffled fat is a popular Filipino appetiser. It is often consumed with beer. Perhaps it’s just me but it’s best eaten when dipped in spicy vinegar. I always want to eat Chicharon Bulaklak right when it’s served on the table, when it is still warm and the texture is extra crispy! 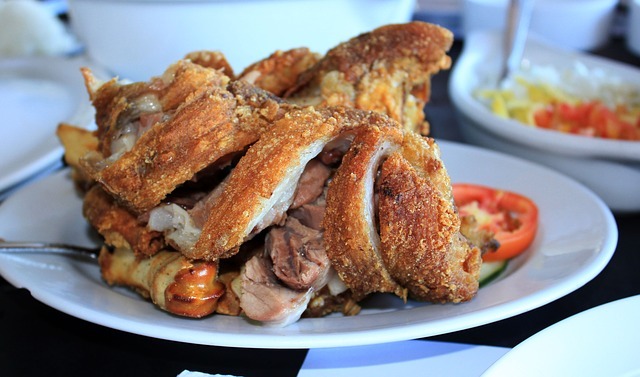 Crispy Pata is a pork-lover’s delight—crunchy pork skin enclosing savoury tender meat. I like it with beer but is also great when consumed with rice, especially when dipped in “toyo” or soy sauce and “sili”. Crispy pata is, of course, one of the popular dishes in Manggahan; consistently flavourful and perfectly crunchy! Crispy Pata is loved all over the Philippines. Once you pop, you can’t stop!